"I'll take door number 3, Monty." You probably have to be over 40 to get that reference. Another in my series of paintings of Kuerner Farm. 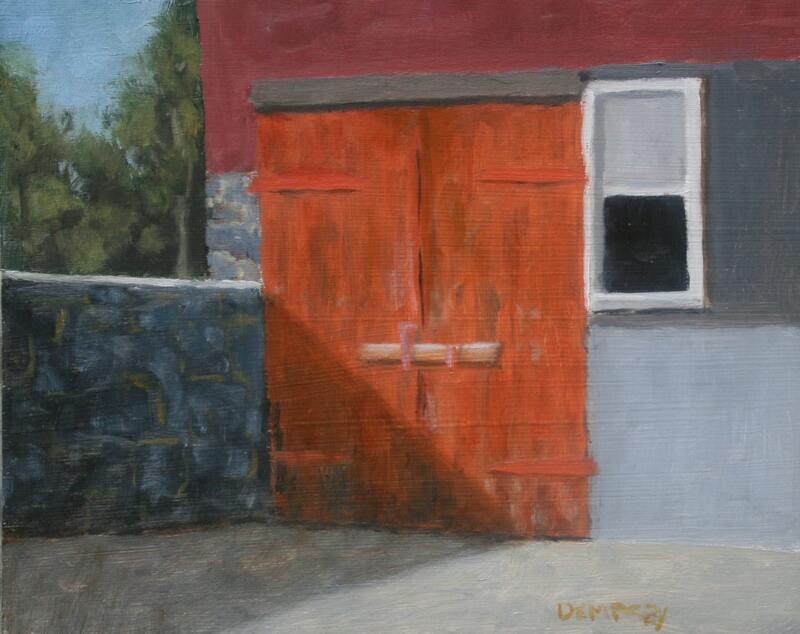 This is the far left door in the barn at Kuerner's Farm in Chadds Ford, PA. This was painted near sunset. The painting is eight inches wide by ten inches tall. It is an oil on a board. It was painted on-site, en plein air.